Designed and engineered for the sign industry, by the sign industry. 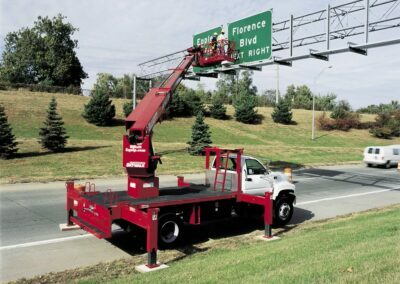 Elliott’s range of telescopic material-handling sign trucks are designed to make signage and lighting work efficient, and make companies more profitable. 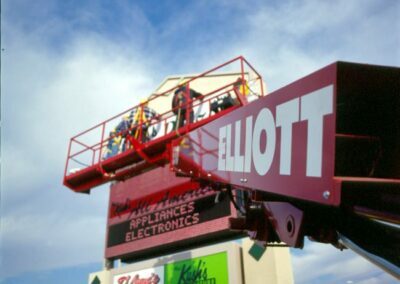 With an Elliott sign truck, you can lift multiple people and materials, reach far and wide and increase your ability to handle more work. 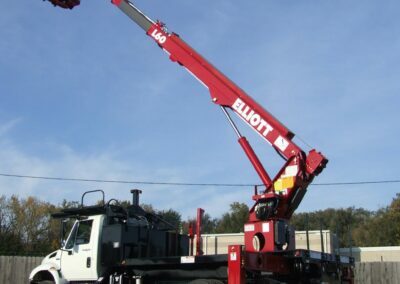 Elliott Equipment Company sign trucks feature the lowest cost of ownership thanks to increased operator efficiency, minimal maintenance costs and the industry’s best resale value. 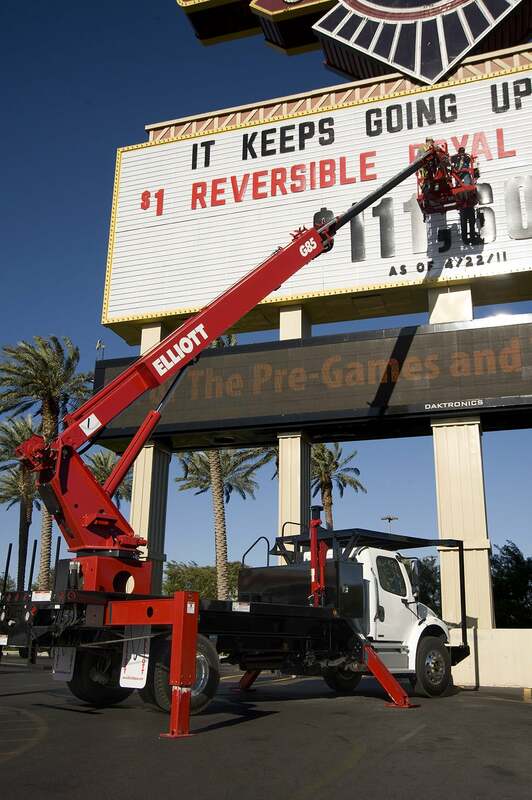 Plus, Elliott sign trucks have a reputation of helping companies attract and retain the most talented operators. Turning a two-truck job into a one-truck operation reduces costs and boosts productivity. 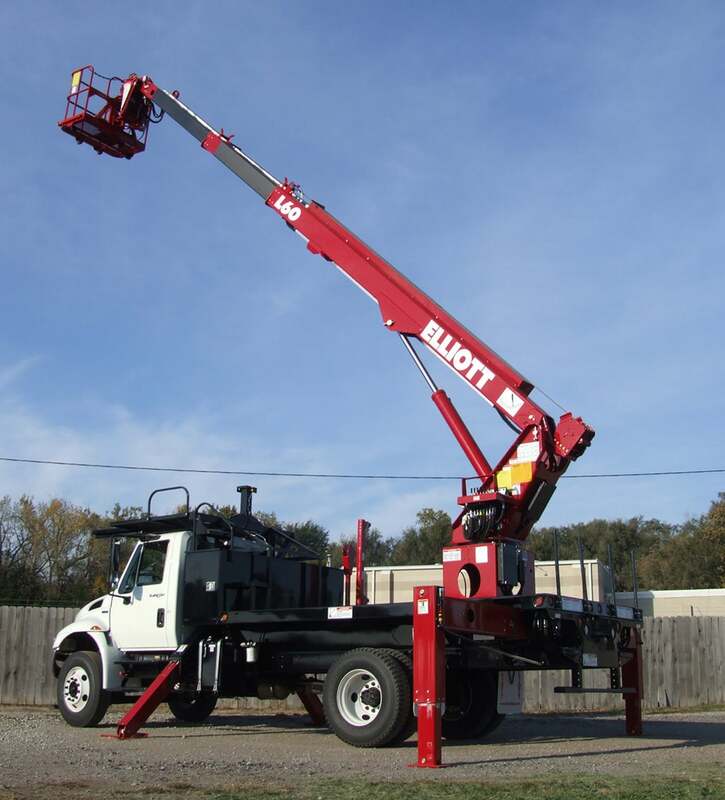 That’s why Elliott sign trucks are designed with material handling options both on the boom and within the work platform. The high capacity main winch is run from the lower controls to lift loads with the work platform attached or removed. Elliott’s EZ-Stow jib winch conveniently stows within the work platform and, when extended, lifts 500 lbs at multiple angles, reducing the need for a second crane on the job site. 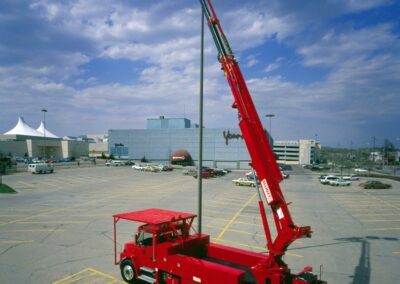 Sign and lighting work often requires reaching far over the side from roadways or parking lots. 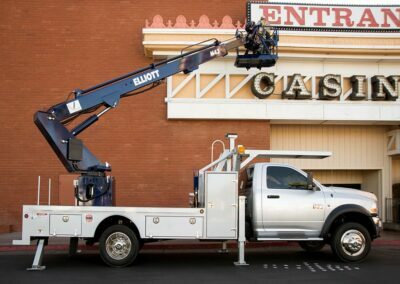 That’s why Elliott sign trucks give you outstanding side reach to expand your working range with two-person work platforms and all the tools you need to do the work at height. This gives you more flexibility and the ability to do more work with a single machine. 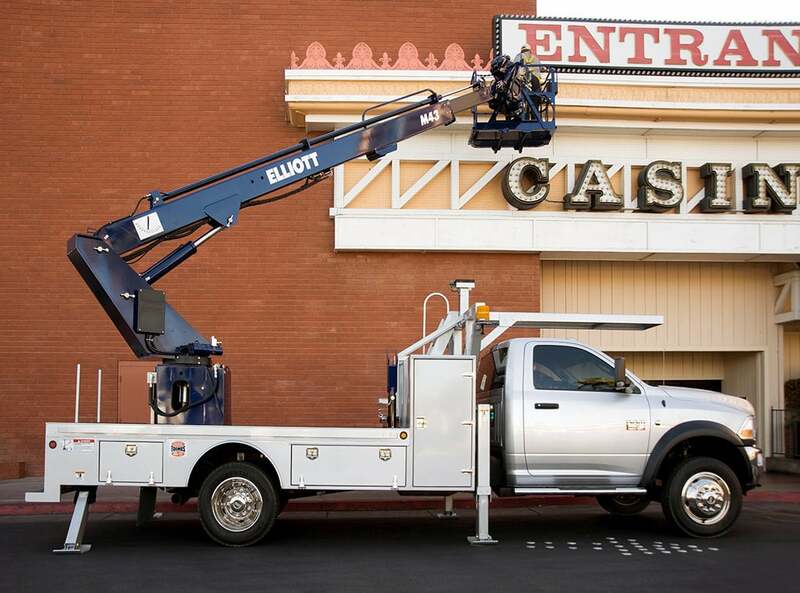 Elliott sign trucks feature oversized steel work platforms with more space for personnel and tools on the job site. 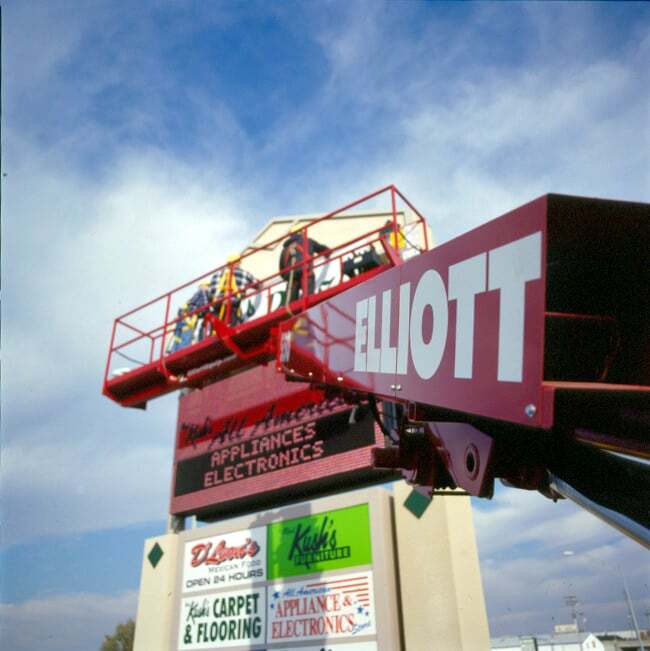 To assist with getting work done at height, Elliott’s oversized cable carrier can carry multiple tools into the work platform to maximize productivity including 110V, welding leads, oxy/acetylene hoses, air hose, pressure washer hose and a hydraulic jib winch. 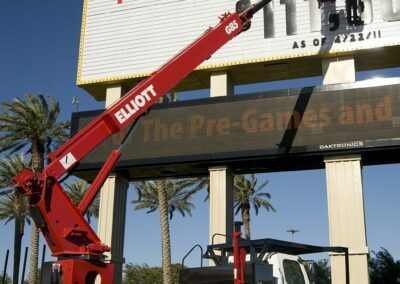 For added flexibility, Elliott offers extendable sign forks on the front of the work platform to carry channel letters and sign faces to the work area. Elliott’s outrigger designs allow for a range of setups while reducing overall weight and maximizing stability. 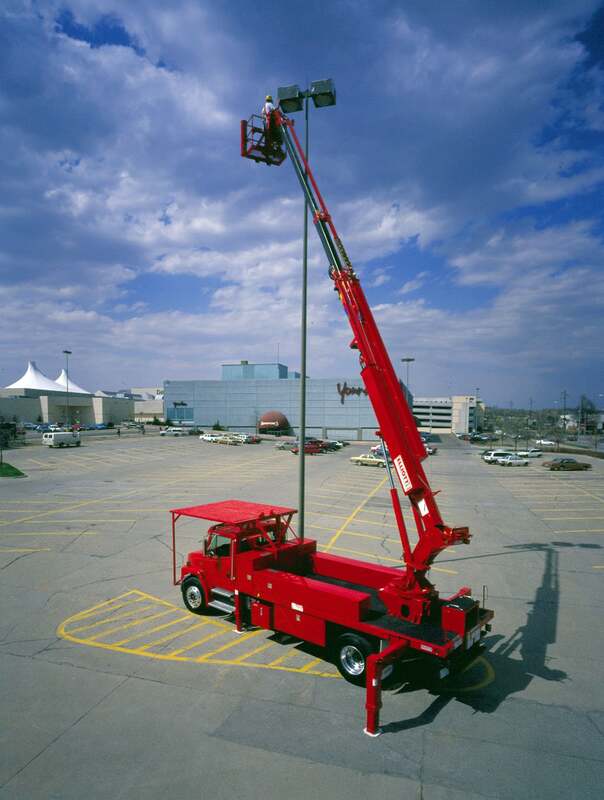 Elliott service trucks like the V60 HiReach can work in spaces as narrow as 8 feet wide. 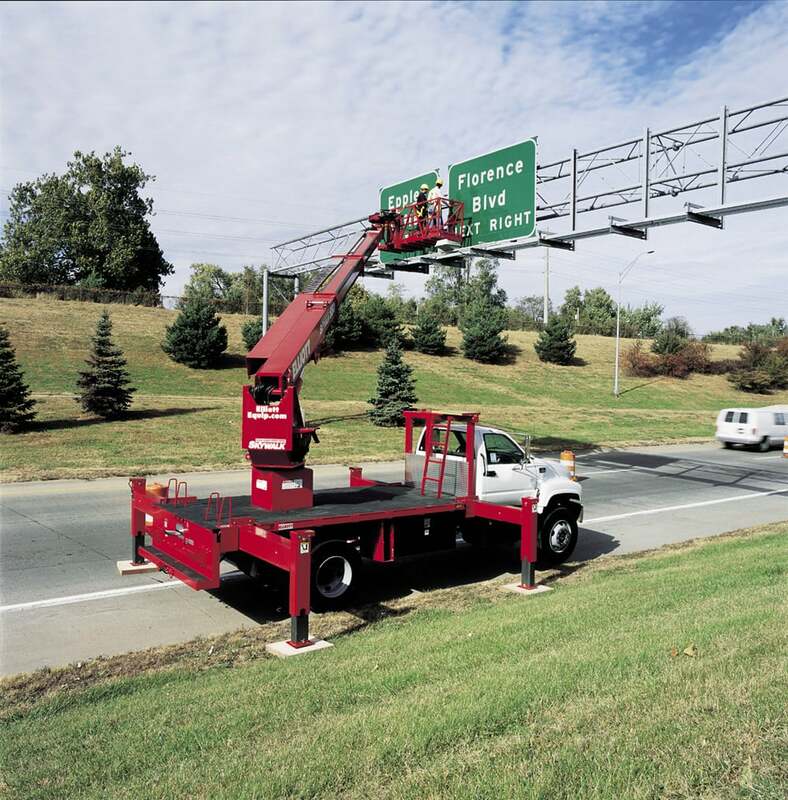 Sign trucks that feature out-down outriggers can be short-jacked using Elliott’s automatic-safety rotation lockout option, which uses interlocks to prevent the boom from rotating to the side of the machine with reduced outrigger spread. Elliot has one of the industry’s strongest reputations for customization. This means more than just adding boxes or changing paint colors, it means building unique equipment specifically designed to make your operators more productive and make your brand stand out from the crowd. 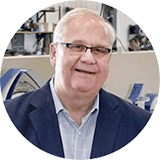 Contact us today to see examples of what we can build for your business. Platform stowable jib winch rated to 500 lbs. 2,000-lb to 14,000-lb main boom winch. “Office in the Sky” work platform tool accessories – Includes 110V lines, welding leads, oxy/acetylene hoses, pressure washers and more. Material handling sign forks on the platform. Cabguard walkway access to the work platform in the stowed position. Automatic safety rotation lockout allows short jacking MH outriggers. Steel, aluminum or wood flatbeds. Custom steel ICC bumpers with steps and storage.